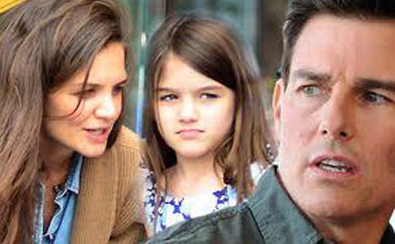 Tom Cruise skips daughter Suri's birthday party in New York. Tom Cruise has reportedly not seen his daughter Suri in over 18 month due to his Scientology commitments. On top of that, he also skipped her birthday party in New York City this weekend! His man is brainwashed or they have some serios dirt on him. Poor Tom, they got his brains in one hand and his wallet in the other. When people tell you can't see your child a line must drawn at that moment.